The town square is the heart of many small towns throughout the world. In Winterset, Iowa, in the center of the town square is the county courthouse. 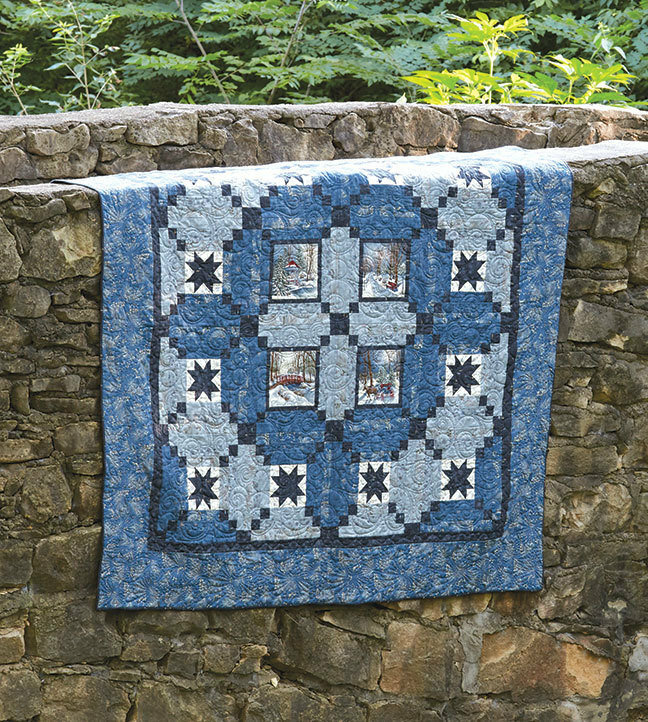 This was the inspiration for the courthouse steps blocks used in this quilt. The central images are from a panel, but you can replace these panel prints with one of your favorite large print fabrics. 78" x 78" finished size.